Celebrate Painted Flowers & a publication. 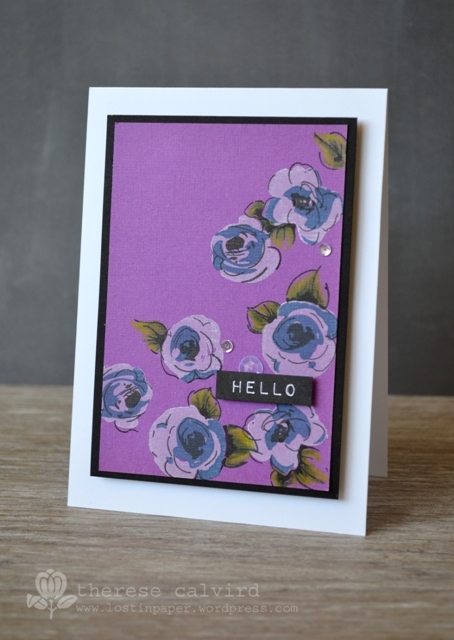 I had so much fun mixing up some wierdish colours for these Altenew flowers and was lucky to have this set of cards published with the Australian Cardmaking, Stamping & Papercraft magazine, so just thought I would share. Other Supplies: Copic marker – YG21. 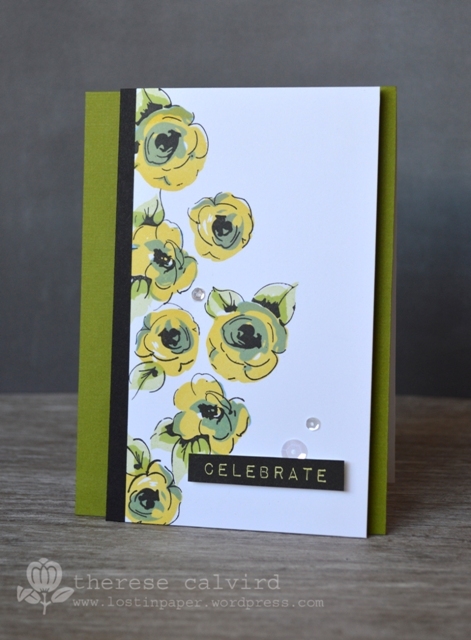 Cardstock SBB – Leaf. Sequins. Matte medium. Purple Flower version: Cardstock – SBB Grape, Prismacolor Pencils – Limepeel, Olive Green, Chartreuse. < Previous Video : Penny Black Birthday Girl! 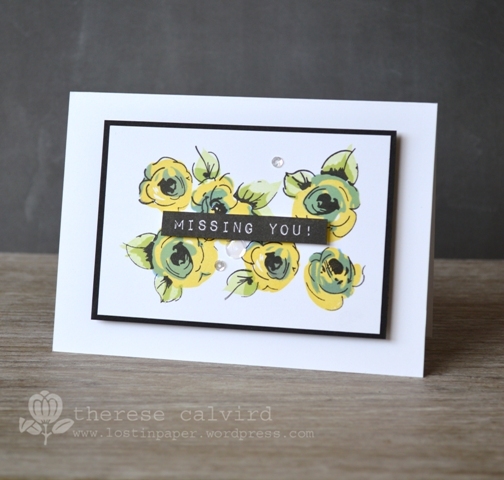 I can’t even express how beautiful I think these are, Therese… nor could I choose a favorite! Love, love, love them! Oh I forgot…. congratulations on being published- again!! Oh what a feeling that must be!! Wow, congrats, again. I love these cards. Love all the layouts of the cards. How did you come up with the color combinations??? Just curious. Thanks for sharing. It’s like eating potato chips, once you start with a good design, you have to just keep stamping. You’ve made a wonderful group of cards. No wonder they wanted to publish them. Congratulations! What a great set of cards Therese and a fantastic publication! 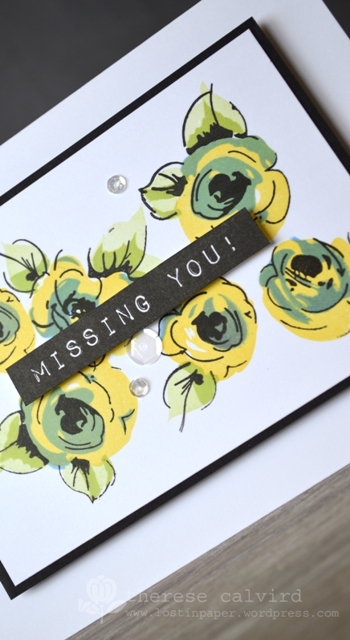 Love those Painted Flowers – love lots of Altenew actually – if only the crafting budget was bigger! Congrats on being published, Therese!! 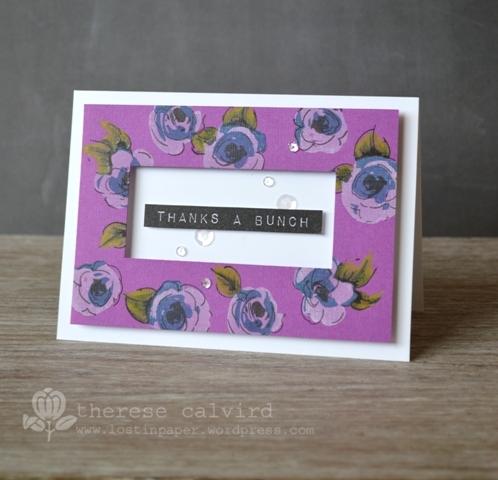 I love these beautiful flowery cards. Your color choices are just lovely. What a pretty stamp set. Love all of them but the pink cards are my favorite. Congrats on the publication. Congratulations Terese! These Altenew are beautiful, I don’t have enough time to play with mine but you inspire me to tke them out! congratulations yay… these are totally gorgeous.. those flowers are amazing.. stunning!! I love all the “weird” colours!! gorgeous designs too! 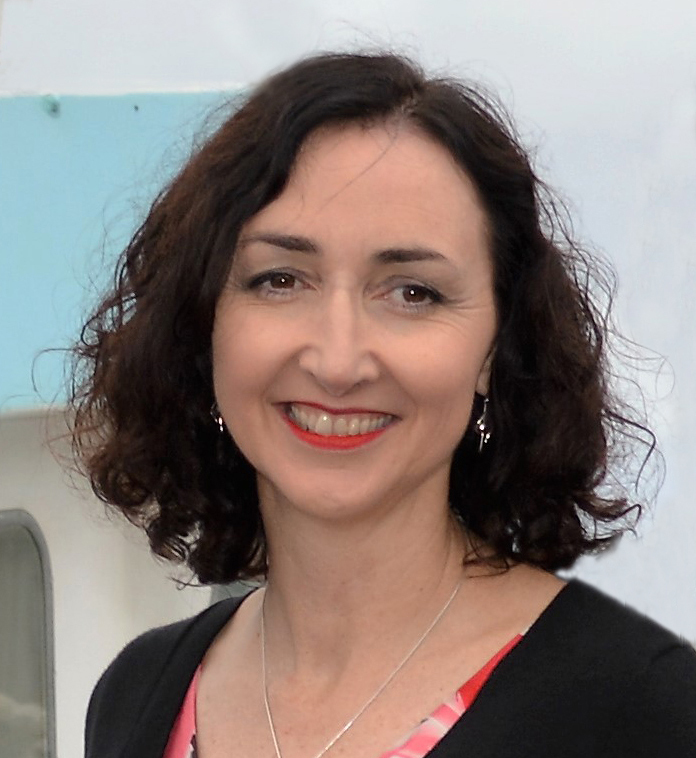 CONGRATS on your publication, Therese! 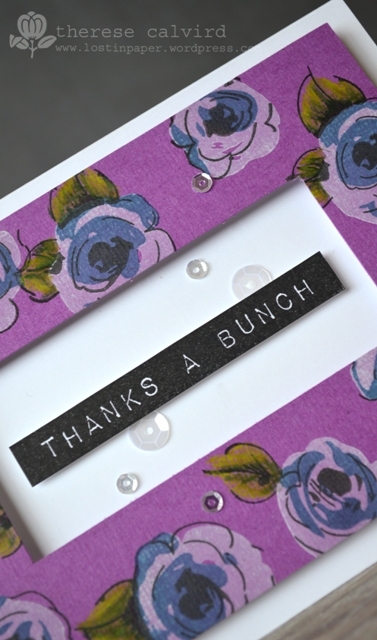 You are so deserving with this beautiful card set! 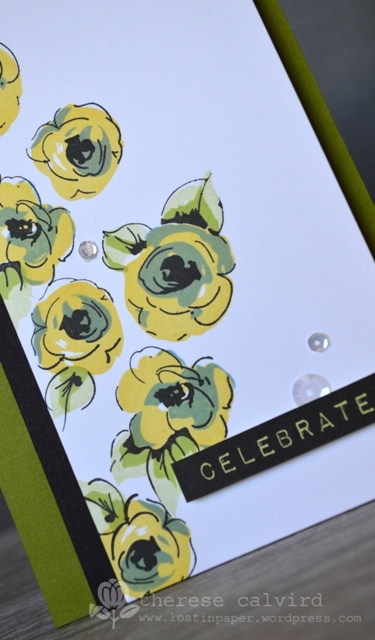 I love when you “Create with Abandon” like this…the funky color combos are so fun, and results are just amazing! Congrats on the pub, Therese! I am a fan of yours and so happy that Australian magazine recognizes your big talent! The cards with the Altenew stamps are all so gorgeous! Congrats on being published! So happy for you! 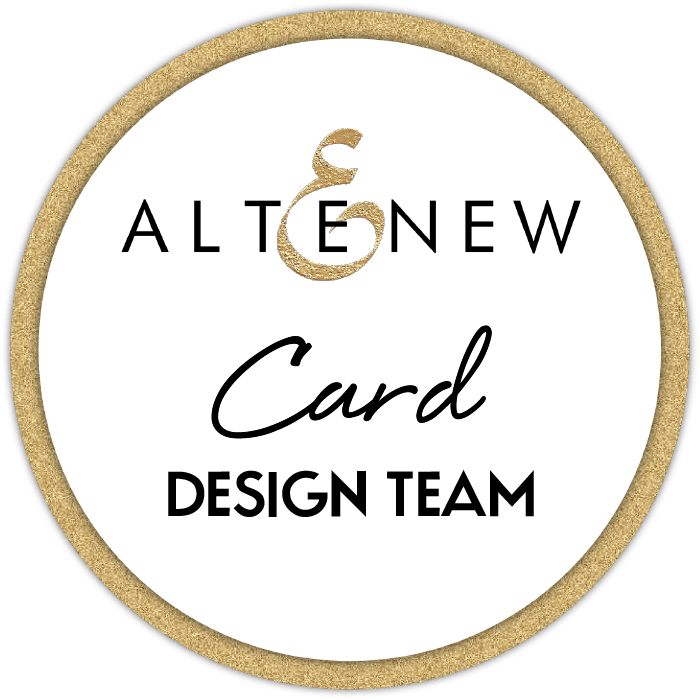 All the cards with the Altenew stamps are absolutely gorgeous! Love the color combos and the designs. I loved these cards when they appeared in the magazine. Especially the “Missing You” one. Love the stamping. Congratulations!! Can see why they liked them so much, love the colour combos. Haven’t played with mine for ages, might just have to get them out later today…….thanks for the inspiration! Well you do have a way with colour Therese. I would never think to pair some of these colour combos together. These are really pretty! Love that stamp set and seeing different color combos with it. Beautiful work Theresa! I was just looking for this stamp set online, and saw your post. I am looking forward to catching up on what you have been doing lately.